A Step-by-step Guide Walking You Through Everything You Need to Know to Create Your Own Inspirational Father of the Bride Speech! Success Story #1: Sent in by Father of the Bride, Harold Fried. "Reading through the speech pack, my confidence starts to build up and realized that construction of the speech is not as bad as first thought"
We booked two rooms in Westin Hotel in the center of Sydney where we did the photo shoots starting from 1.00 pm for the bridal party and later the family. At 3.00 pm, a stretched limo took the bridal party to a secluded area called La Perouse for further photo shoots. Reading through the speech pack, my confidence starts to build up and realized that construction of the speech is not as bad as first thought. It eases the fear that is mounting high on the background. But the biggest benefit I gained was to proudly say I’ve done it, even though I have never spoken openly to over 100 people before. 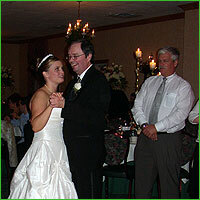 "weddingspeech4u" saved me on my daughter's big day, November 25, 2006. For a year before her wedding, I really wanted to (and knew I should) stand up & give a speech for my daughter and her new husband, but I was scared, and didn't really have any speech prepared that I really felt comfortable with. I did have some ideas rolling around in my head, but I didn't really know how to put them together in a speech, if it was appropriate, and complete, and cover all of the areas that I should on that special day for her. You wanted to have an audio testimonial to let you know how I went with the wedding speech. It was just a tremendous opportunity to give an understanding and… to be able to structure my speech in a manner that was going to be meaningful and helpful and interesting. It did exactly that. My daughter just loved the speech, the people clapped, it was laughter and I can tell you it would not have happened without that opportunity to have that guidance and direction from that. It was amazing. I never had an experience like that before and I wouldn’t have been able to do it without that help that I got from you. I just thank you so much for the direction and the clearness and the clarity with which I was able to structure my speech on the day. “Your site helped me to create a wedding speech that evoked three reactions from my guests – acting, feeling, and thinking. By providing the right information about the newly married couple, I was actually able to stimulate the guests to respond. "Thanks Dan, my little girl loved my speech... ...my wife had tears in her eyes." "I found it an extremely instructive, well documented, and useful book. 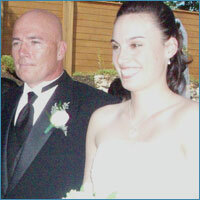 Helpful for any brides father..."
"Just what I was looking for, saved me lots of time." "Really liked the layout and how easy it was to read..."
"I had a few reservations about downloading anything of the net but was pleasantly surprised at just how easy it was, even for an 'older' person like me!" "Kate, my daughter, was rapt with my speech... I think she thought that I would struggle, I supppose it has been over a decade since I last had to give a speech of any sort, but it went off without a hitch! "For $19 your book was worth every cent..."
"Hi Dan, the best bit about your book was the great sample speeches... I picked out the best and most relevant parts and put together a great speech in next to no time..."
"I actually feel bad about how well my speech went... it totally outshone the best man... ...it looked like he could've used your advice, esecially the bit about not drinking to excess..."
"Thanks for helping out an old guy like me... I have never been very computer literate but we got there in the end... Well written book by the way..."
"If I wasn't put on the spot by my daughter I probably wouldn't have brought your book as I don't like giving my credit card details over the net, but I am so glad that I did and everything went perfectly..."
"I have never been comfortable speaking in public and have tried to avoid it like the plague over the years. Unfortunately this is one occasion that i couldn't avoid. With your info I managed to make the best of a (potentially) bad situation"
"Dan, thanks for the tips..."
"I have brought lots of things online and your customer support is at the top of the bunch..."
"Hi Dan, Just to let you know that the books and CD arrived within a few days of ordering... ...like the presentation and format, very easy to read and understand"
" Magical night had by everyone, speeches were an absolute riot..."
"My Suze really appreciated the sentiment..."
"The speeches were the highlight of the night and my one was tops... ...Thanks Dan"
"I didn't know writing a speech could be so easy, thats what easy to follow steps does..."
If you are about to give a speech at your daughter's wedding, the person you have given so much of yourself to, the person you have loved so unselfishly and sacrificed so much for, the person you raised to be the beautiful young woman she is today, then this could be the most important letter you will ever read. 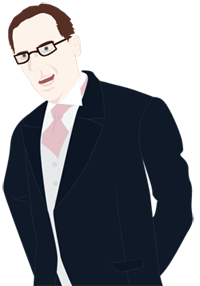 Well it's all because of my one-of-a-kind, father of the bride wedding speech guide that explains in a super easy to follow format - how to deliver a sensational father of the bride wedding speech - and is guaranteed to work for anyone! Not to forget the 20 knockout, sample speeches that have been crafted to perfection. This material is for those who want give the best possible father of the bride speech for their daughter. Know the etiquette involved with combining the Master of Ceremonies role with the Father of the Bride duties, so that you come across as an experienced speaker. You can edit, copy, paste, add, delete and completely mould these father of the bride speeches into your own words! "Father of the Bride Wedding Speeches" comes professionally laid out and graphically designed so that is easy to read and covers everything that you need to know about giving your father of the bride speech! I also include a 100% satisfaction guarantee! If the information doesn't stack up to your needs then just let me know for a full refund! What's more, with every order of Father of the Bride Wedding Speeches - How to be Witty and Well Prepared! I am throwing in THREE superb bonuses! Want to Boost your Confidence to Sky-high Levels, Eliminate Nervousness AND Banish Anxiety From Your Life Forever? This downloadable audio track has been put together by professional hypnotherapist Kent Sayres, to increase your confidence to enable super-delivery of your Father of the Bride speech. To use it, all you have to do is slip on your headphones, pop on the audio program, and listen and relax. Kent's powerful hypnosis technology takes care of everything else! This is a must-have product for you if you want to skyrocket your confidence. This course sells on Kent's site for $19.99, so is a fantastic bargain as it is included FREE with every copy of Father of the Bride Wedding Speeches! This superb bonus book has over 100 jokes, quotes and one-liners that you can use to make your Father of the Bride speech truly memorable. There is something hilarious in here for every type of wedding!! Blow the crowd away and have them rolling in the aisles! I PERSONALLY GUARANTEE that these will be simply the best Father of the Bride speeches that you can buy on the internet. If they don't measure up in any way, shape or form then let me know for a prompt and full refund. I’m including one extra bonus for my Internet customers. It’s a private email consultation with me. If you have any pressing issues about your speech or perhaps even with the wedding planning that need addressing then drop me an email and I will resolve it with you! "Father of the Bride - How to be Witty and Well Prepared! ", with 20 sample speeches and plenty of tips and techniques to save you time and aggravation! Order directly online with our 3rd Party Payment Processor, Clickbank. Remember that when you use our order form on our Secure Server, you get instant access to Father of the Bride Wedding Speeches, all of the bonus books and audio program. You can be using these ideas, tips and techniques within 3 minutes! I look forward to getting an email from you, telling me about your fantastic speech and how Father of the Bride Wedding Speeches changed your speech for the better! Even though I get an enormous amount of email, please write to me. I’d love to hear your success story! P.S. Remember, I guarantee that if you use this information that your Father of the Bride speech will be funny, fearless and flawless; otherwise, you can return it within 60 days from now for a prompt 100% refund... PLUS... you still get to keep the ALL the bonuses, including the Total Unstoppable Confidence audio course. 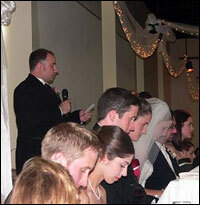 PPS: You have nothing to lose ordering Father of the Bride Wedding Speeches, no matter what country you’re in. ELIMINATE DOUBT IN A POSITIVE WAY.